Do you remember the first time you rode a bike, places you go on your new wheels. The fast forward a few years and somewhere between your first date, traffic jams, global warning like just don’t feel the same anymore this is Flux electric bike. We started Flux because we found one of the ultimate choices of our childhood at times just started to cry. We’re on a mission for the fun back into cycling and more happy riders on the cycles. Flux is a simple just turn it on and go on pedal. 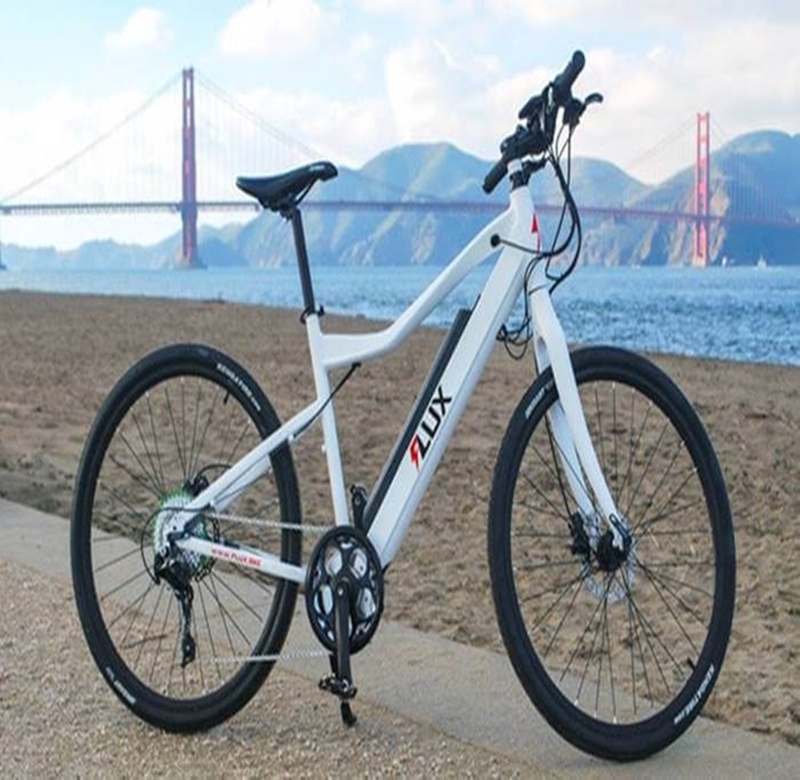 In assist mode Flux is exactly like ride a normal bike just the easier and the faster. Don’t want to peddle you don’t have to push the throttle and your speed shoot through the city with no effort at all. The location of the motor is a key factor in making this bike so special unlike most electric bikes in the markets particular motor in the hub. Ours are located in between the pedals this takes mechanical advantage of the bike Shimano 9 speed gears. The meaning is you can climb hills easier and hit top speed quicker. Couple of this efficient drive train with an industry crushing 17 ampere lithium battery and you can Flux 46 miles on full power. The battery has a key logger security and can be removed in a second take it with you and recharge wherever you want. Even features a USB port so you can charge all of your devices on the go. By enhancing the advanced technology and elegant design Flux box your wheels in the modern world giving you the power to zip past traffic, explore further and climb higher than ever before. We put these bikes through their paces on the most challenging courses. We can find their battle tested and designed to take a beating stay in control with powerful hydraulic disc brakes and central suspension. When you get to the bottom you can just power backup in record time ready to go again and again. We’ve got three exciting models ready for production we need your help to build critical mass and bring the cost of production down with your backing and our expertise. We’re going to bring you a bike that will change the way you think about riding forever stop wasting money on gas leave the car in the carriage come Flux with us to more sustainable feature happy riding guys.